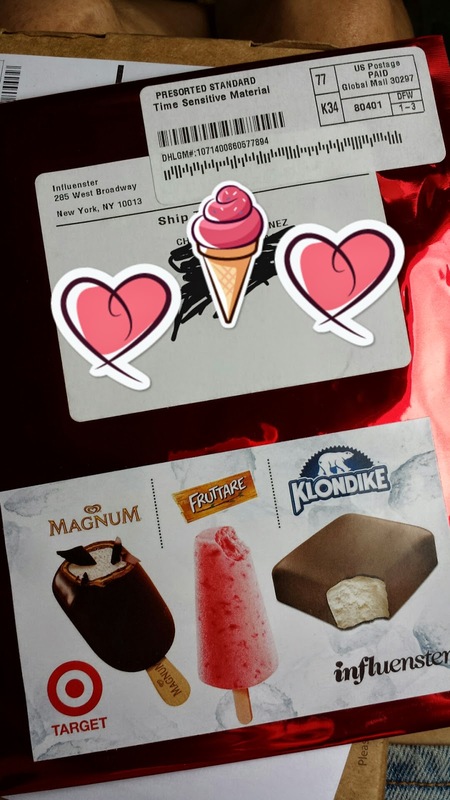 Yay a sweet treat from Influenster! Qualifying for a #voxbox or brand challenge from Influenster.com is such an exciting thing. This time around, I've received a voucher for a free box of ice cream treats. Granted, the shiny red envelope containing my voucher was a wee bit late in arriving but when I finally had it in hand it was OFF TO TARGET FOR MY FREE ICE CREAM! <--- free ice cream deserves to be all caps, n'est pas? 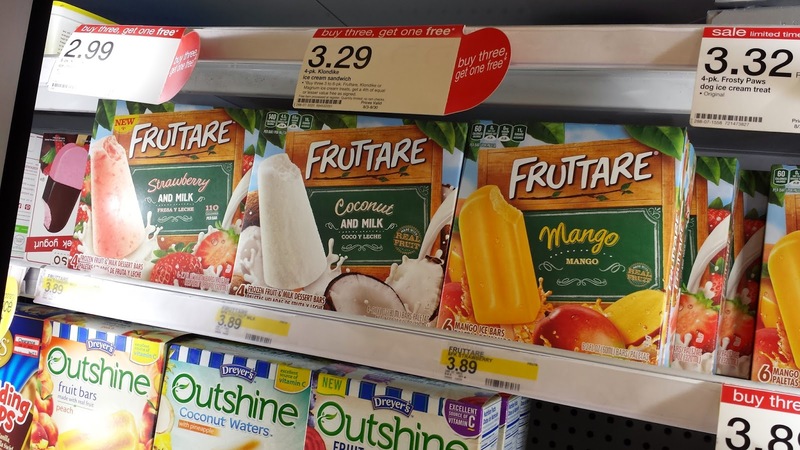 The choices of Fruttare I was met with were Strawberry and Milk, Coconut and Milk, and Mango Ice. Ugh! Too much yummy! Welp, since I have a free box anyhow, why not splurge and get all three? WOO! Once I've tried all three flavors I'll post a blog with my review :) . Sounds like I'm gonna be having Fruttare for lunch! 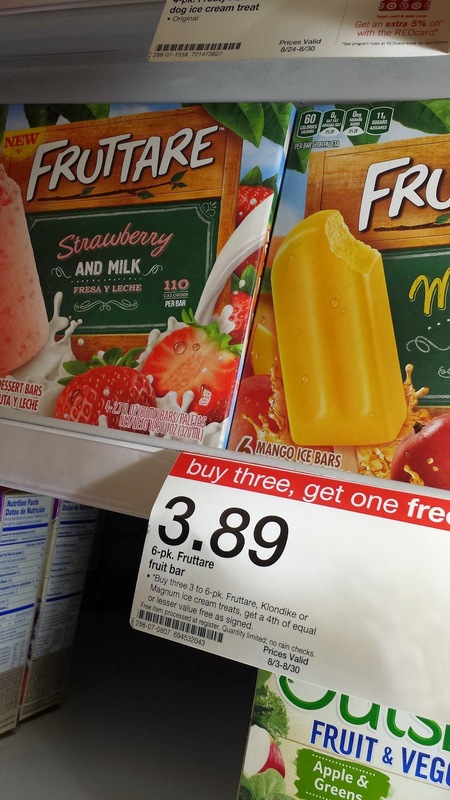 In the meantime, y'all should get to Target straightaway and take advantage of the buy 3 get 1 free deal being offered on Fruttare, Magnum, and Klondike before it ends on August 30. Time is a-ticking!